When looking to purchase a Swimming Pool for your Home, it is a lot like buying a new car or truck. You can buy a very simple and less expensive pool, just like you can buy a very simple and less expensive vehicle. If we were to look at the Chevrolet Full size pick up truck you could purchase starting in the low $20,000.00. This would be a very basic truck with the least amount of options and smallest engine. From there you could easily spend over $50,000.00, depending on the options that you choose. You have a lot of choices on how you want your vehicle, most people will opt for several of the options above on their new vehicle. They are usually less expensive to purchase upfront. You want the better driving experience and comfort. It will hold its value in the long run. is usually includes the following: a very small amount of concrete decking or no decking, small white inexpensive entry step or no entry step, 20 mil standard vinyl liner, white aluminum coping (concrete deck edging), one Skimmer, Two wall returns, 1 1/2" plumbing, very inexpensive pump and filter. Just started to build pools in the last few years, trying to establish a cliental. Usually these companies will have the least amount of experience and will try to cut corners to keep the prices low. Will not stand behind their warranty. Once they are paid very difficult to get them to come out and stand behind their product. Hidden Charges or Change Orders. There can be a lot of hidden charges that you were not expecting and your price could increase accordingly to the price or more so of the Competitent Pool Company. A Side line of their real business. They may be a Landscaper, Home Builder, Home Remodling Company, etc. It is always best to use a contractor that specializes in the product that you want "you wouldn't want your kitchen remodeled by a concrete company"
How long has your company been in Business? This can be verified with the Better Business Bureau. What is your Contractor's License number. This can be verified with your States General Contractor's License Board. 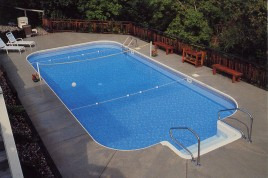 Ask for a list of at least 10 Customers that they have built pools for in your area. The list should contain the following: 5 pools that are at least 5 years old, Pools that are pictured on their website (you would be suprised how many websites have pictures of pools that were not built by their company), Pools that are currently being built. Make sure that the Pool Contractor will be responsible for any and all Permits. Whoever pulls the permit is responsible for the job. A copy of their Legal and Binding Contract. Make sure you question anything that you are not comfortable with. Have a written Timeline that holds them accountable. 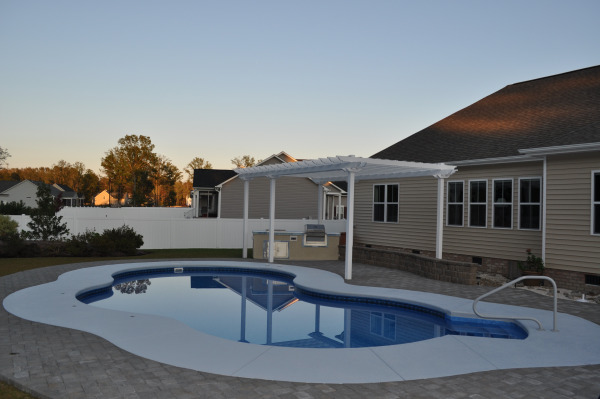 Having a Swimming Pool built for your family to enjoy can be a great experience!